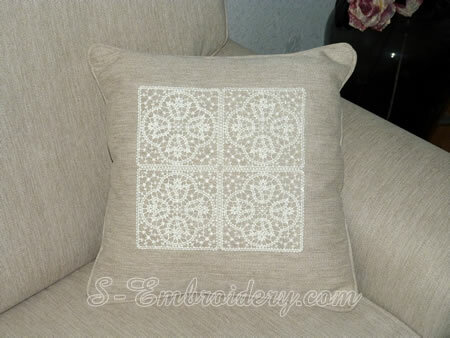 This Battenburg lace machine embroidery set includes 2 versions of the tulips square design - with two colors and with single color. 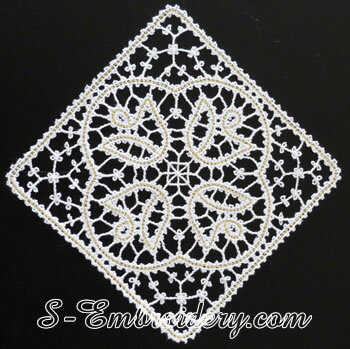 The design will fit in 5x7 (130x180) or larger hoops. 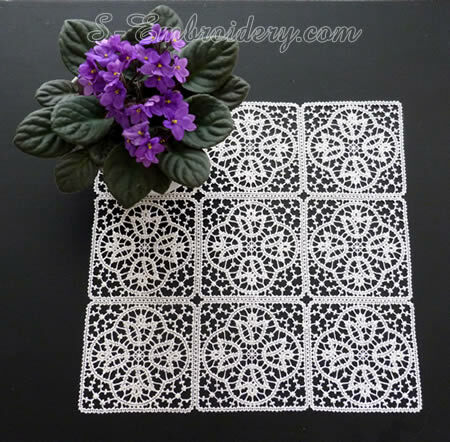 The Battenberg free standing lace tulip squares can be used in different machine embroidery projects - both in combination with suitable fabric or independently. 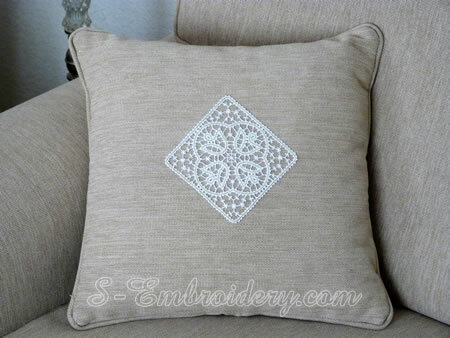 On the images below we have shown some possible applications of this machine embroidery design. 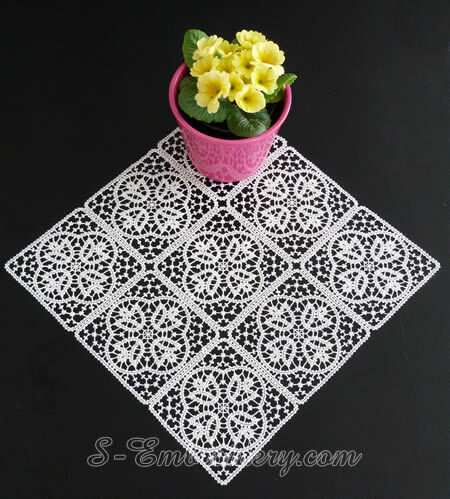 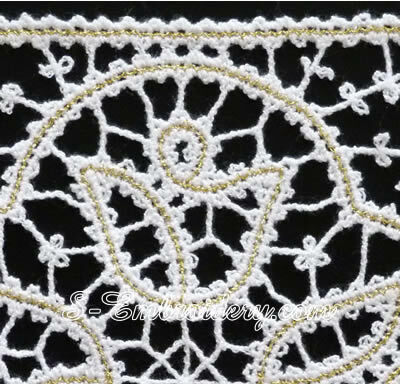 The set of 2 machine embroidery files comes with instructions in PDF format for creating a doily, table topper or tablecloth.